Poems: Lynne Hjelmgaard, Jane Clarke, Rosie Jackson, Caroline Natzler, Ann Piling, Alan Galante. Poems: Denise Bennett, Frances Galleymore, Ann Egan, Ann Mason, Danielle Hope, Martin Lyon, Margaret Wilmot, Paul Stephenson. 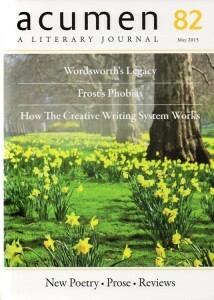 Wordsworth: Still Worth It – Roger Harvey. Poems: Chris Waters, Kathleen M. Quinlan, Ruth O’Callaghan. Poetry in Translation: Zhu Jian (trans. by Yi Zhe), Virgil (by Fred Beake), Nercedes Mebrián (by Terence Dooley), Heinrich Heine (by Thomas Land). Poems: Philip Rush, Harry Guest, Lotte Kramer, Peter Dale, David H.W. Grubb, Roy Cameron, Jean Watkins, Danielle Hope, K.V. Skene, Nicola Warwick, Keith McFarlane, Lucinda Carey. Poems: Elaine Feinstein, David Ishaya, William Roychowdhury, Alison Chisholm. 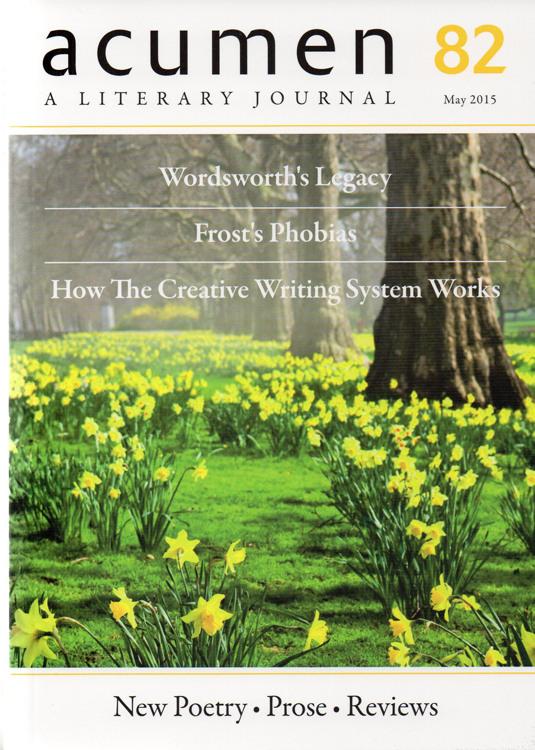 Creative Writing in the USA and the UK: From Wales to Vermont – A personal Round Trip – Tony Curtis. Reviews: William Bedford, William Oxley, Edmund Prestwich, Fred Beake.